If you have been injured in a motor vehicle accident (MVA), you may have suffered soft tissue injuries to your neck and back. 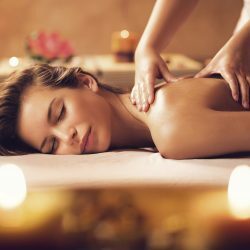 Our qualified and registered massage therapists will perform a thorough assessment of your ailments and set up a treatment plan to suit your specific needs so that you may get back to a healthier, more active, and better quality of life. Please provide some details of your MVA when making your appointment so that we may advise and schedule you accordingly. Should you have any questions about getting a motor vehicle accident rehabilitation treatment with us, please call us at 403-452-7899, email us here, or drop by our Panorama Hills location. We would be happy to consult you on your needs. Know someone who would benefit from an MVA Rehabilitation consultation?